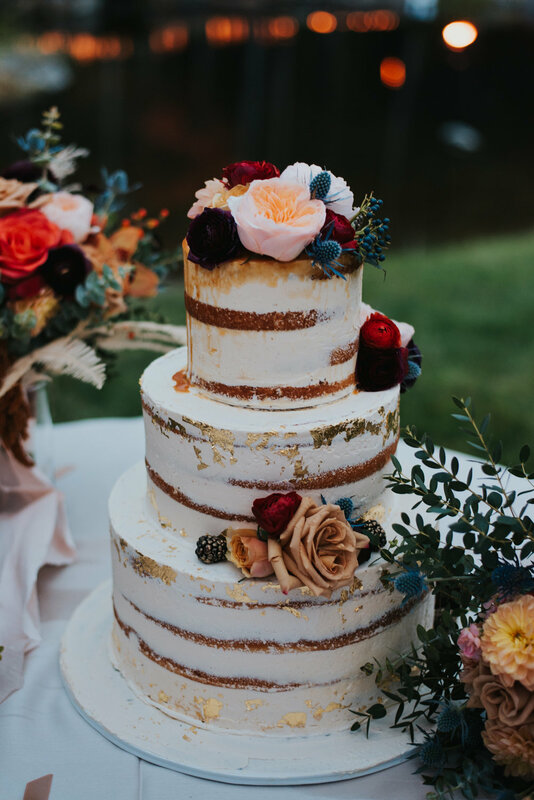 Natolie & Trent married on October 6, 2018 at a private home nestled in the green mountains of Stowe, Vermont. It was the height of fall foliage, with amber and ochre hues bringing the landscape alive. Natolie & Trent live in Louisiana, and wanted to plan a destination wedding somewhere special to them. Natolie grew up visiting Vermont with her family, often visiting the Rasberrys in Stowe. When the Rasberrys offered to host the wedding on their property, it felt meant to be. The whole wedding was designed to highlight the location. "The beautiful fall colors, the mountains and waterfalls and the gorgeous forests in Vermont were what really inspired us." 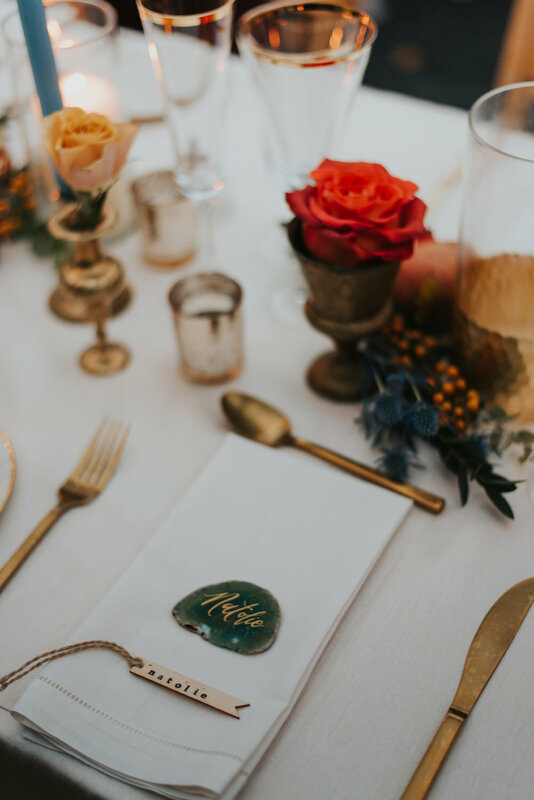 With 100 guests, almost exclusively from out of town, it was a complex bit of planning, but Claudia from Harlow & Dahlia Events put together an incredible day that spoke to the couple's love of classic style and artistic inspiration. Trent and his groomsmen were looking dapper in their tuxedos, with Trent wearing a gorgeous pair of boots to bring in that Southern charm. The ceremony site was absolutely stunning with florals provided by Folklore Farm. 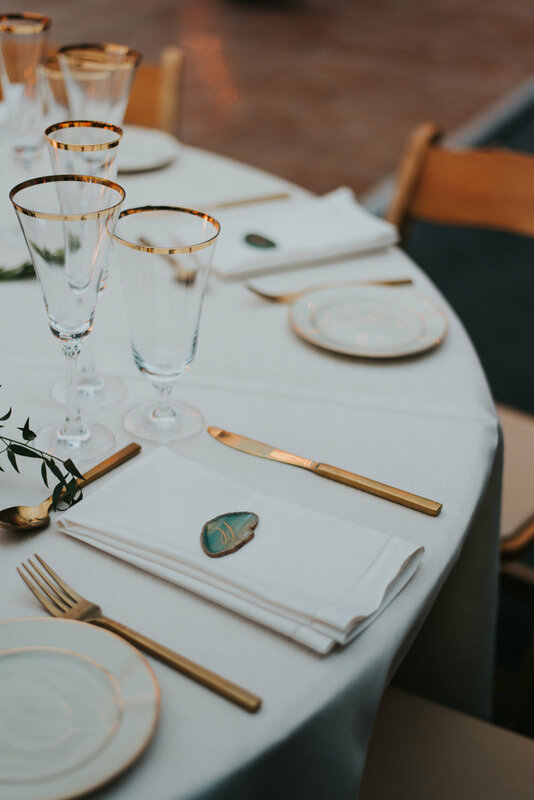 The color palette was perfect for the season, wonderfully accentuating the natural beauty of the location. It had been lightly raining all day, but it cleared up just in time for these two to tie the knot. Misty clouds drifted in and out, providing a view of Vermont’s famous mountain range. 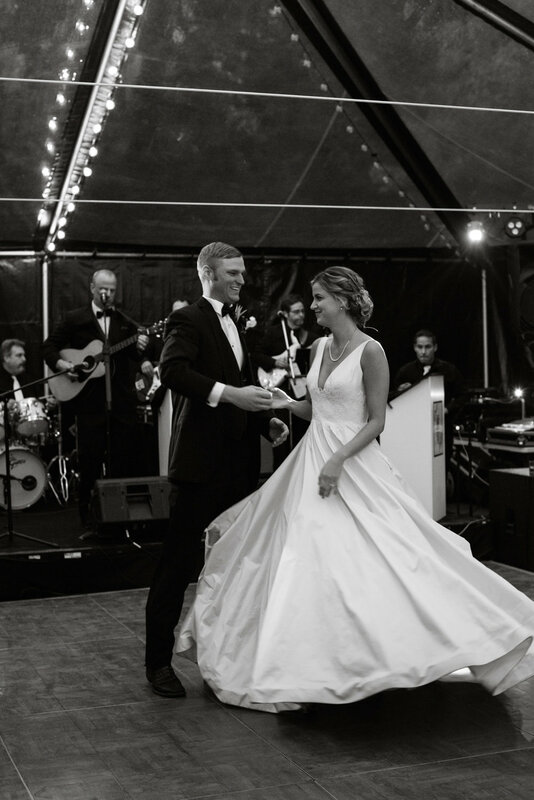 Natolie wore a Legends by Romona Keveza ivory ball gown made of silk shantung taffeta, featuring a deep V-neckline and a flowing circle skirt. The waist was accented with ivory Garden lace. She wore her sister's two-tier veil that was appliquéd with Alencon lace from her mother's wedding gown. A First Look is a moment you can plan for anyone significant in your life, it isn’t just for your spouse-to-be. For Natolie, having this moment with her dad was a highlight of the entire wedding. Natolie’s wedding party wore forest green gowns from Alfred Sung, and the choice of having faux fur shawls was spot on for the season! Vermont is notorious for its strange temperature swings, and having a warm shawl for later on in the evening kept everyone warm. The Christian ceremony was lead by two ministers that traveled all the way from Louisiana to be there for this moment. While the guests enjoyed cocktail hour, candles were lit in the tent. I love the combination of textures Folklore Farm used for the tables. The use of pomegranates and artichokes, white and blue candles, and florals was unique and festive. Teal agate stones with calligraphy by Paper Glaze Calligraphy added that final flourish. I love the way Trent looks at Natolie in the frame above. Bubba Raspberry presented Natolie with a gift of a tambourine, which kicked off a night of dancing. The Epic Soul Band out of New Jersey were incredible, dancing on the dance floor and ensuring everyone had a fantastic night. At one point their minister got up on the band stand to croon out a gorgeous ballad. 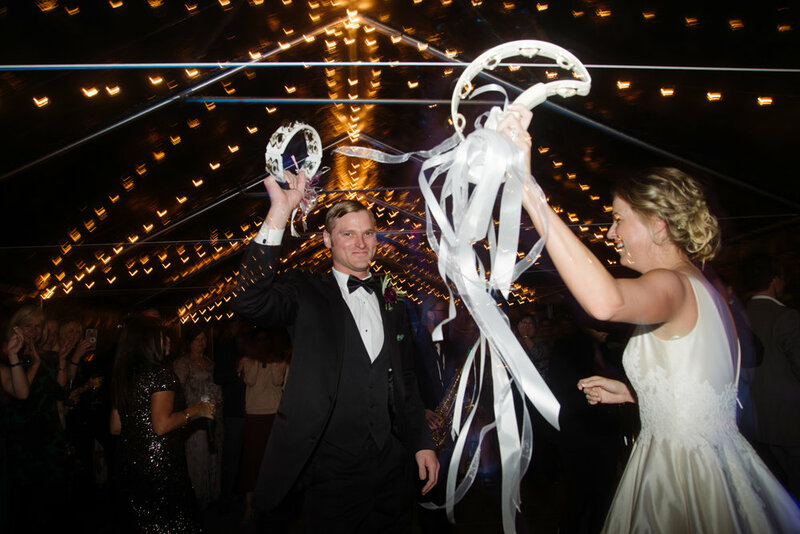 Natolie & Trent also had a New Orleans second line dance, a Louisiana tradition when a a brass band parades through the crowd while the couple twirls parasols in the air and guests wave handkerchiefs. It was a great way to bring something from home to the party. “Enjoy every moment of your wedding day. It flies by so fast. Also, invest in a good photographer and wedding planner. 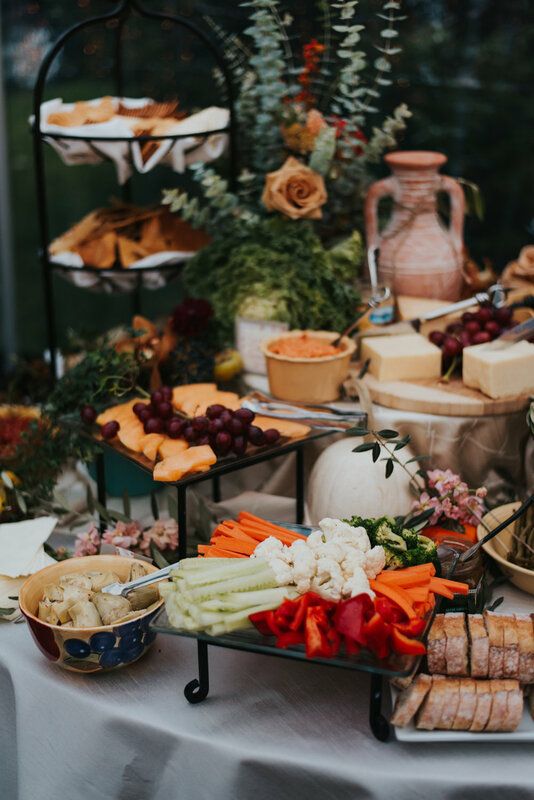 Claudia Rowlin of Harlow and Dahlia Events was our wedding planner along with my mom and without them I really don't think we would have been able to pull off the wedding that we did. It was absolutely fairy tale and beyond what I had dreamed it would be! 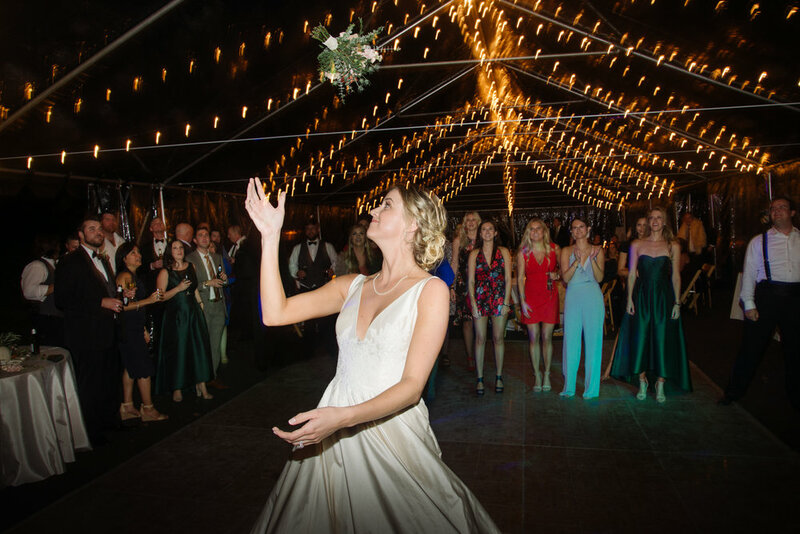 Our photographer captured every moment and every time I look through the pictures, I feel as if I'm really there, celebrating all over again!